When we hear the word licorice, candy, not fertility comes to mind. Did you know that the same plant made to flavor black licorice candy in the old days is also an excellent herb for a variety of fertility problems? Well it is! In fact, it positively supports key body systems that directly affect the quality of our fertility health. Licorice rt. (Glycyrrhiza glabra) has been shown to be powerful in healing and protecting body systems vital to maintaining healthy fertility. Licorice is potent plant medicine! The compound glycyrrhizic acid, found in root of the licorice plant, has been shown to be hepatoprotective. This simply means it protects the liver from damaging substances, including damage from pesticides, herbicides, pharmaceutical medications, alcohol and more. Why is liver health important for fertility? Well , we need the liver to function at its best to maintain hormonal balance. The liver is our chemical processing plant. So you can imagine what must go on in there. The liver removes hormones, drugs, and other biologically active molecules from the blood. If there are too many excess toxins and hormones overwhelming the liver, they may be stored up, not only in the liver, but other parts of our body. This may disrupt our hormonal balance. Maintaining liver health is vital for proper hormonal balance. Glycyrrhizic acid is so powerful that studies have shown it to inhibit liver damage and protect the body from three main toxic chemicals that are known endocrine disruptors. Licorice has been researched in Japan and has been found to be extremely useful in healing cirrhosis and hepatitis liver damage as well. Licorice is a potent plant medicine for the liver. Licorice is an adaptogen. For an herb to be classified as an adaptogen, it must support endocrine system function. This herb is also an immunomodulator, which means it supports proper immune system function. Licorice has been shown to stimulate the immune system in people with chronic illness or it can reduce the excessive immune response seen in those people with autoimmune disorders. It is often used to treat autoimmune disorders. It has the ability to reduce an excessive immune response. In people with immunological fertility problems, their body identifies part of reproductive function as an enemy and sends Natural Killer (NK) cells to attack. A healthy immune response would only identify an enemy correctly and attack only foreign invaders such as a virus, parasite, bacteria, etc. It provides excellent hypothalamic-pituitary-adrenal (HPA axis, part of the endocrine system) support. This makes it an excellent choice for stress-related infertility or hormonal imbalance issues of any kind, including absent periods due to stress, poor egg health, poor sperm health, and any type of hormonal imbalance. Licorice is a known phytoestrogen because it contains isoflavones. Phytoestrogens are not true estrogen, but they may have a similar action to our own endogenous estrogens. Phytoestrogens exert weaker estrogenic effects on cells, compared to our own endogenous estrogens or to xenoestrogens. Phytoestrogens compete for hormone receptor sites. Phytoestrogens compete for hormone receptor sites. If they bind to the estrogen receptor sites first, they actively block xenohormones from binding. Xenohormones are endocrine system disruptors and cause hormonal imbalance and may cause infertility. Will Licorice rt. increase my estrogen levels? Will it make me become estrogen dominant? Will it make my estrogen dominance worse? Probably not. You would have to consume very large doses of this plant for it to increase your estrogen levels through its isoflavone content. Taking licorice at very high doses can be toxic, so avoid taking large amounts of this herb. Licorice rt. packs a double whammy of positive hormone-balancing benefits. 1. It is a phytoestrogen, which protects our estrogen receptor sites from xenohormones. This helps to protect our body from endocrine disruptors, which are known to cause fertility problems. 2. It is an adaptogen that supports liver health, endocrine and immune system function, which supports hormonal balance overall! When the body metabolizes the glycyrrhizic acid, the result is a molecule similar to that of adrenal cortex hormones known as Glucocorticoids. In this case, the Glucocorticoid is cortisol. Cortisol has an anti-inflammatory effect in the body. This is thought to the same reason for licorice’s anti-inflammatory action. Reduction in inflammation reduces painful fertility issues. Traditional Chinese Medicine (TCM) often uses equal parts of Licorice rt. with White Peony (Paeonia lactiflora) for the treatment of dysmenorrhea. Several studies showed that peony, when combined with licorice rt. in equal parts, greatly reduced painful menstruation by preventing prostaglandin production. The conclusion of this finding shows that this blend’s action plays a key role in reducing primary dysmenorrhea, but also is very helpful in treating the underlying causes of secondary dysmenorrhea. This blend has also been shown to lower serum and free testosterone levels in women with PCOS. This cortisol-like effect that licorice root has, has also been shown to support healthy blood sugar levels, especially when taken first thing in the morning. This may be helpful for women with insulin resistant PCOS. Licorice is emollient, demulcent, and nutritive. These actions support healthy mucous membranes and enhance their function, including those that secrete cervical mucus. Cervical mucus is necessary for the sperm to reach the egg. These actions that licorice rt. has also support healthy digestion by lubricating and the digestive tract and enhancing digestion overall. We know digestion is the foundation for health; licorice rt. helps to support that. Licorice rt. has been used traditionally for hundreds of years and is considered to be the most prescribed herb of all time. It has been extremely effective in healing ulcers, irritable bowel syndrome, Crohn’s disease, gastritis, and colic. This root is extremely effective at treating the STDs genital herpes and warts. Studies have shown that licorice rt. can irreversibly inactivate herpes simplex virus. It has also been shown to inhibit the growth of several DNA and RNA viruses. This herb has been used for millennia to treat and prevent a variety of viruses, including the common cold and flu. Licorice rt. and Hypertension: What’s All the Hype? I guarantee if you do search on the internet for this herb, you are going to get a barrage of warnings of how it is dangerous or may be toxic. Well, let us be realistic here. Licorice is possibly the most commonly used traditional herbal medicine on the planet. It has been used safely for hundreds, possibly thousands of years. So why all the scary information? Licorice rt. in excess can cause hyperaldosteronism. What? This is a condition in which a person retains sodium, loses potassium, and develops high blood pressure. This can only happen when it is used excessively. How much is too much? Well licorice-induced hyperaldosteronism has been reported after people have eaten excessive amounts of candies made with real licorice extract, or chewing tobacco with licorice extract, or have drank 4+ cups of licorice decoction (strong tea made by boiling the roots) per day, over a few days. An herbalist or naturopath would never suggest a person take Licorice rt. this way. Decoction: 1/2 tsp of dried root to 8oz. of water. Steep for 10-15 minutes. Strain. Drink 1-2 times per day. We feel Licorice rt. is best used in combination with other herbs, rather than by itself alone. Licorice root blends well with a variety of herbs. Pregnancy caution: Not recommended for regular consumption in pregnancy, as it may increase the risk of premature labor. Breastfeeding: Shown to be safe for consumption while breastfeeding. Winston, David, Maimes, Steven. (2007). Adaptogens Herbs for Strength, Stamina, and Stress Relief. Rochester, VT: Healing Arts Press. Hoffman, David FNIMH, AHG. (2003). Medical Herbalism The Science and Practice of Herbal Medicine. Rochester, VT: Healing Arts Press. Hi, I am looking at taking liquorice root to treat PCOS, also to help with digestion and my immune system. I purchased liquorice root capsules (Glycyrrhiza glabra 425mg), is this ok to take long term? The suggested dosage (on the bottle) is 2x tablets 3x per day. I plan on combining it with spearmint tea and a few dietary changes. Licorice root is best used short term. We do not suggest using it long term. It is always best to follow the suggested use of the maker of the supplement purchased. General suggested use is 1.2-4.6g per day of deglycyrrhinized licorice root extract according to Herbalists Simon Mills and Kerry Bone (in their text Principles and Practices of Phytotherapy). Licorice is not suggested at a higher dose than shared here and this article for longer than 6-8 weeks without supervision of a herbalist, natural healthcare provider or your primary care provider. All that said, many healthcare providers of all schools of thought know that dietary changes are foundational and have seen many women very successfully support themselves by simply eating a whole food PCOS diet. In fact, dietary and lifestyle changes are often necessary to help the body best reap the benefits of herbs and nutritional supplements. You will find important information in this article written by our senior herbalist titled How to Reduce the Damaging Effects of PCOS on Fertility Through Diet and Herbs. Where can I get this licorice root? And do you have it in your shop? Licorice root is fairly readily available in health food stores, or from Mountain Rose Herbs (dried root for tea) or Elk Mountain Herbs (liquid herbal extract). There may be other brands as well, but the Fertilica line does not carry licorice root. Hi, can I take licorice rt if Iam ttc but have herpes and when should I take it before O or after ovulation. Thanks would appreciate your answer. Licorice root is not contraindicated with herpes simplex virus and can be used all cycle long while trying to conceive as suggested in this article. Again, we feel Licorice root is best used in combination with other herbs, rather than by itself alone. I had heard that liqorice root can be used as an alternative to clomid (taken like clomid from days 3-7 or 5-9). I tried this last month and it seems to have worked, stimulating ovulation much earlier than my usually long and irregular cycles. I was also taking NAC at the time. This combination seems to have worked so well and I got pregnant. Unfortunately, I miscarried at 5 weeks. I am now scared that it was the liqorice that might have caused the miscarriage. I know you cannot know for sure, but any thoughts? I would like to use it again to ovulate “on time” but don’t want to risk that pain and heartbreak again. I really appreciate the help. Thank you. I am sorry for your loss and that you are scared! You are right, I can not know for sure why this has happened. Sadly for many women the exact cause of miscarriage can not be pinpointed. It is only through testing done by your doctor that a cause might be determined. Licorice root, according to the AHPA Botanical Safety Handbook, is not known to have adverse events or side effects when taken at the recommended daily use and for the recommended amount of time. I have not heard of licorice root causing miscarriage. Is early ovulation allowing 12-14 days between the start of menstruation, cycle day 1, and ovulation? This amount of time is needed for an egg to properly mature to be ovulated. Consider referring to our Natural Guide to Menstrual Health as a starting point for creating a natural menstrual health program to support the body in having a regular, healthy menstrual cycle in length and timing ovulation. We’re happy to help in creating a program for your personal needs and we offer this support through a Fertility Consultation. 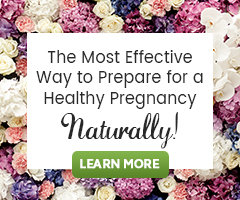 Can licorice root be used during early or late pregnancy? Licorice root is not suggested in pregnancy or while breastfeeding. If interested in using this herb or any herb in pregnancy, please find a qualified healthcare provider, herbalist or midwife to guide you. I think it’s important that people know that it can be very dangerous to consume excessive amounts of licorice, as it can cause Glycyrrhizic acid toxicity. It can cause the blood pressure to go off the charts ! Before considering taking licorice, please do some research as to possible safety issues, etc. PS – my friend just became seriously ill. She prepared a tea with licorice root and forgot it was simmering away, so it became very strong. She drank a large mug, and became totally fatigued, with other symptoms also. She was just getting over bronchitis and was almost better. Perhaps her experience was very uncommon. Even so, it did happen and her doctor and naturopath did link it with her consumption of the strong tea. Thank you for your thoughts and sharing this story. I am so sorry your friend experienced this. It is correct as shared in this article, that licorice root can be improperly consumed which for some can cause fatigue, headache, muscle weakness, numbness, etc. Know that a trained herbalist or naturopath would never suggest a person take Licorice rt. in a way or dose that would lead to experiencing these issues. General suggested use as a tea is to drink 1-2 8ounce cups per day. Licorice rt. tea is correctly made by adding 1/2 tsp of dried root to 8oz. of freshly boiled water in a mason jar (not to boil the root in the water), cover and to only steep for 10-15 minutes total before straining and drinking. I hope your friend recovers quickly! Can it also help to restore an absent period? While Licorice root is in part supportive of the endocrine system, the system instrumental is the communication of our hormones, and liver which takes pare in hormone balance, it alone is not relied upon to restart menstruation. Consider reading our article How to Get Your Period Back to learn additional ways to support a healthy menstrual cycle. Can this be taken during menses/periods for good egg growth and PCOS? Will it effect menses which appeared after a long time? How many days should I take this remedy. As you have read in this article, Licorice root has a number of supportive benefits for fertility. It can be taken all cycle long and I have not heard of Licorice root effecting menstruation that has reappeared after being absent. 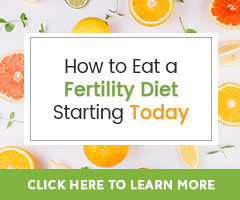 Consider learning even more ways to support your body in achieving hormone balance and healthy insulin levels in the following article… How to Reduce the Damaging Effects of PCOS on Fertility Through Diet and Herbs. Regarding how long Licorice root should be taken by you, I can not really say. In general we suggest following a natural fertility program from a minimum of three months, but for some as many as 6 months to a year. Each woman’s individual needs vary so, that it is hard to say exactly how quickly results will be experienced. i think, you ment to explain the dosage but haven’t finished the sentence. Thank you for your keen eye! We will be sure to update this to state; drink 4 ounces 2 times per day. If I am taking DGL Licorice (Deglycyrrhizinated Licorice), is this okay too? I just finished reading all the information here about Licorice and I’m wondering if I take the DGL kind, if the same information also holds true for DGL. I’m taking it for acid reflux but I also heard that it can help with fertility. Thank you in advance!! Deglycyrrhizinated licorice is a form of licorice root that has had the active constituent glycyrrhizic acid has been removed and may not work exactly the same in terms of how it supports fertility as licorice root alone. Why is spironolactone on the list of medications that should not be taken with licorice root? Spironolactone is potassium-sparing, meaning that you lose sodium but retain potassium. People on spironolactone have to be careful about eating too many foods that are high in potassium, like bananas or sweet potatoes. I don’t understand how something that would lower one’s potassium would be harmful to someone taking spironolactone. Spironolactone on the list of medications that should not be taken with licorice root because this caution appeared in our research for this article. We are not experts on medications, just adhering to cautions we learned during our own research. Perhaps this caution was shared by the WHO in part because of the fact that licorice has a caution for hypertension which Sprionolactone is used to treat and one wouldn’t want to interfere with the treatment of this condition in any way. I hope this in helpful! This would be a conversation to have with the doctor who prescribed you Spironolactone. It is not advised to start Licorice root without first having a medical doctor’s approval. Is the capsule form okay too? What is the recommended dose of the capsule? Michelle ~ You can take licorice in capsule form yes. While no RDA for licorice root has been set, according to the American Botanical Council, recommended dosages include: dried root (1 to 2 grams, 3 times a day), liquid extract (2 to 4 ml, 3 times a day), and deglycyrrhizinised extract (380 to 760 mg, 3 times a day).